Berkshire Berries' 100% Pure Maple syrup, made exclusively from the maples of Berkshire County, is now available in two convenient sizes. The 8 oz. Glass Flask for $ 8.95 and the 12 oz. Glass Flask for $10.95. Inquire today while supplies last. 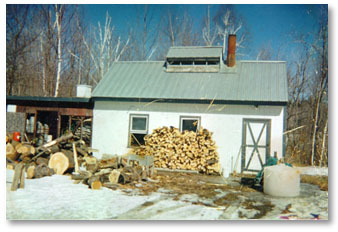 Have you ever wondered what is takes to produce a gallon of maple syrup? It can actually take more gallons of sap than 40 depending on the sugar content of the sap. Each spring 1,000,000 gallons of sap are gathered from maple sugar trees in Massachusetts. This sap is boiled down to syrup in 200 sugarhouses across the state. Just a few more helpful tips from your friends at Berkshire Berries.